This fourth (possibly last) contemplation from the the Universal Christ conference is an addendum to the first. Here I briefly share just a couple of the parallels drawn between the Christian and Scientific world-views, where they are shown to support or mirror one another. The word “light,” in common parlance, refers to a certain bandwidth of energy within or near what is perceptible to the human senses, that which moves, warms, illuminates our world. Science understands that these energies, frequencies, extend beyond our perception in both directions, into realms most humans cannot navigate with our common faculties. Light in Christian symbolism refers to something less measurable, less describable–hence the appropriation of the metaphor of Light. It is a radiance; it could possibly be an attribute, vehicle or substance of consciousness, or in some vocabularies, God or Christ. Recent discoveries about Neutrinos, how they penetrate everything, even the dark spaces we might call nothing, tell us that light permeates even darkness. The Universe is a single, unbroken entity in flowing motion, in which each part replicates the Whole. The three basic manifestations of this entity are Matter (Christ), Energy (Holy Spirit) and Meaning (Creator), and each of them enfolds the other two. The universe informs the action of all its parts, and their feedback alters the universal flow. While this might not seem revelatory to a contemporary mystic’s intellect, it is, in fact, Revelation in perpetuity. Today, Dictionary.com’s word of the day is Vader Mecum, a Latin phrase for “something a person carries around for frequent or regular use.” This might be a book–for many it is The Bible or Qur’an; or it might be a respiratory inhaler, or a water bottle; or it might be a thought or identity! We carry with us all kinds of notions. But I suspect we also carry with us, in us, at our foundation, as our foundation, our “angels,” those higher voices and resources, the higher self, we usually relate to as outside our self. That’s a heady topic to explore, but I’ll leave that to thee. Feel free to stop here and do so! I learned today’s word just after I’d set down the book that is my current companion. I don’t physically carry it around, but I carry its theme, its voice, and I consult it once per day, in the morning or evening, opening it to a random page and receiving a thump to the forehead and a melt in the heart and curling up of the lips as the words address the thought or theme I’d woke up with that morning, or that I’d been distilling in the back of my mind or in dreams. That book, currently, is Paulo Coelho’s Warrior of the Light, a Manual ; but it isn’t always. I’ve carried many different vade mecum books over time. The covers, the authors, the vocabulary, the accent might seem to be different with each. Yet these are different portals opening to the same Voice: different wells, sometimes to different rivers, which connect to the same Ocean. And that Ocean I carry inside me. Hmmm, another description for Universal Christ. This is not where I was headed when I started this post! But it is plenty. You are welcome to stop here. My original impulse had been to share a couple of excerpts from the Coelho volume. But perhaps what makes vader mecum objects or companion books so magical is that they are placed on our paths, in our lives, in perfect timing, as totems or divining tools to address us, exactly where we are (psychologically or circumstantially). Uniquely. They are the Greater Self talking to the smaller self and lifting it up. In the water analogy, these are wells that hold just the right mineral content that a traveler requires at the moment it appears on his/her journey. They are channels of Elijah’s still, small voice. This post follows on the foundations of the last. I mentioned that I was raised by parents who inculcated me with a suspicion of Christianity, and organized religion in general. My mother often said that she “envied those who found solace in their God.” I can not really know how or whether finding some kind of faith in the numinous might have improved her existence. In the last session of the conference, we returned to find rosemary branches on the tables. This prompted a little epiphany for me. Among common uses for Rosemary oil is to focus and wake the mind, to clear the psychic field, to bring one into present time. My mother’s name was Rosemary. And, though I might have seen her as stuck in reaction to religion, what that effectively provided me was a relatively clear slate from which to launch out in my explorations on the path of Spirit, without having to lick my wounds or unload as much baggage and as many do. I was moved (as I contemplated the conference and the rosemary) to allow any lament I had for my mom be reframed as the gift of Grace this probably was to me, as her progeny and as the next generation in a collective human evolution. As a revelation, it didn’t seem huge, but it was significant; and it had been hiding in plain sight. It impressed upon me again how often this is the case, and how the shift in one’s psyche and life ripples out from these moments. Not long after this, I had occasion to consider what I recognized decades later was an enduring traumatic life event. (For the purpose of illustration –not self-pity or drama– I will detail it concisely below. ) In this most recent contemplation, a realization articulated itself that had pretty much been looming in plain sight for years, might even have been glimpsed, and connections semi-consciously made but spun differently in previous visits to this memory (and the uneven shadow it cast through decades). My parents, who did not separate finally and divorce until I was roughly middle school age, first separated when I was in around the first grade. My mother, understandably, was trying to parent me through her distress, her anger, her “failure.” She was operating at the end of her rope, I guess, when one day I pushed her too hard on some matter, as children do, and she lost her cool. She threatened to send me to live with my father; I can no longer remember for sure if it was her tone, or also her words, that communicated “and he doesn’t want you either!” There was nothing objectively wrong or scary about going to live with my Dad. It was what the threat meant emotionally, existentially, subliminally, that landed. Supreme rejection and abandonment. Gripped with panic, I pleaded with her not to call him as she made good on her threat by picking up the phone and starting to dial. I clambered at her hands and in the struggle she cast me down into a crumple against the base board. Many have experienced far worse, of course. My mother had no recollection of the event decades later. Of course not; she had been out of her mind (and body) with anguish. No blame here. As I recall, I did go stay with my dad a short while, a very short while, before I was back with my mom, and it seems like overnight I developed asthma, a disease many have associated with abandonment. In light of my nomadic circumstances, folks who have heard that account have commented, “No wonder you are homeless.” Yet what might have been explanatory and neutral took on a tone of injury. It is was a wound, certainly; but let’s not forget the French word for wound is our word “bless.” Wounds hold blessings. That is the whole point in depicting the resurrected Christ still carrying his wounds. Years later I had a brief and indelible dream image that seemed to signal that my ministry would be a mobile one. But I had not yet shed the scabs of that wound and owned it fully and freely as a blessing, as a formative and necessary obstacle to my following a conventional trajectory that was not my path. That is where my choice in all this lay. My work has been to disentangle my resources from the scar tissue that formed. To leave the wound and own the blessing. Evolution is ongoing, and every step is honorable. The Christ in the Tomb is still the Christ. The work of each of us is to compassionately facilitate resurrection, for ourselves and others. This frees us, yes, and also the ones who came before, even those party to a crucifixion. 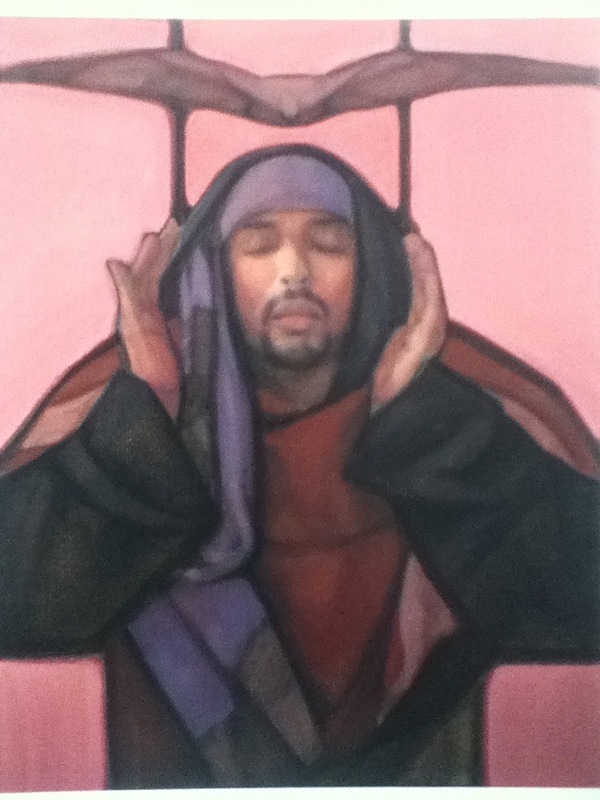 Last weekend I attended The Center for Action and Contemplation’s conference on The Universal Christ. In the days following, folks understandably asked me variations on “How was the conference?” I’m still digesting, and found I could articulate little more than, “It was very good.” It was many, many moments, some I could call highlights, and each one was invaluable; but like the Christ itself, where two or more are gathered, the sum surpasses the parts. Many of you know I was not raised Christian. And I do not claim affiliation with any institutional denomination. But I am a mystic, in fellowship with the Christ that lives in every faith, in all creation. At this conference we were all met with the Credo “You Belong.” In the lobby, they had set out between 50 and 100 stanchions, and blank banner cards, encouraging attendees to put some descriptive category on the card and stand it on one of the tables so that “birds of a feather” could attract each other, talk and share. (12 Step, Canadians, Cancer diagnosis, LGBTQ, heart-broken Methodists, etc.). It was an interesting way to reinforce the common denominator of Christ within diversity. Start people where they are. Since most of the attendees were of some Christian background, historically or still, I was in the minority there. Although I didn’t feel quite comfortable placing a stanchion on a table that would in any way put up force fields of exclusivity, I did amuse myself by making two banners: Sufi Taoist in Christ, and Raised by Atheists; Realized they were Christ. As it turned out, few of the stanchions left the display table, which instead became a growing and well- and repeatedly-visited exhibit. As is common to most such experiences in my life, my reason for being there came clear in a moment near the very end. I made notes for what might become a longer blog post about that, but, as I said, I’m still digesting. Meanwhile, I cobbled together some pithy one-liners, which, to the mind of words might say, “You had to be there,” but to the soul beyond the words, might say more. But first, I share a link to a song that was played at the conference: Birdwalker’s “One.” If you’ve been blessed to hear it before, you might not mind hearing it again. A song is often better than mere words. Enjoy. The speakers were: Richard Rohr (RR), Jacqui Lewis (JL), or John Dominic Crossan (JDL). [Not sure of your power or passion?] …It is Where You Would Go to Die for Love. Christ in the Tomb is still the Christ. Love the Hell out of Everyone. When poet Mary Oliver died in January, I was traveling; yet the news reached me–a text from a friend– when I stopped to stretch my legs. I spent the rest of the day’s drive hoping my muse would catch up with me, or me with her, and allow a poetic tribute to crystalize and flow forth. Nothing brilliant launched, like Athena, fully formed, from my head; but, when I came to a stop, I wrote what came– as Mary Oliver herself did. She would start with simple observations of nature and trace the threads to universal wisdoms. Sometimes it went the other direction; a wise conceit grounded into universality by some phenomenon of nature. Has passed the torch now to all the fires she stoked. …And my pen ran out of ink just as I finished scribbling those words. 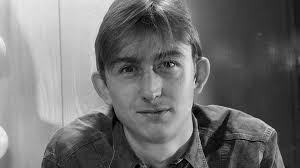 A few weeks later, just last week, Mark Hollis died. I expect fewer readers than know Mary Oliver’s name to know his. He was a musician. But since he and I had both long ago disconnected from the music business–him as a musician, me as a fan–I was impressed that, again, I got timely word. My cousin emailed me. Mark Hollis led the band Talk Talk. Their biggest hit in the U.S. was “It’s My Life.” I occasionally hear that on the radio; alas, more often I hear NoDoubt’s un-imaginative cover of the song. But as long as Mark was getting royalties, I don’t mind. Covers are a form of tribute. While Talk Talk lodged a few hits in the British pop firmament, Mark Hollis’s more poignant legacy was what came after. He insisted on making music that challenged pop ears, that left that heady, cotton-candy world far behind and went spelunking in the depths. He many lost listeners, of course, but he gained respect. TalkTalk’s last two albums remain critically admired and far more influential than even Mark Hollis may have known. I was heartened by the number of tributes and column inches he received in the (mostly British) press upon news of his passing. I listened to a few of his songs in commemoration. The man’s voice was like no other; it dripped with grief; and many of his songs use that to exquisite effect. Having said since high school that I felt like I was made of grief, I resonated intensely with the soul keening through that voice. But the man remained a mystery, remains a mystery. Even after I read his obituary in The Guardian, I knew little more than I always had. I did learn that he was exactly ten years and one day older than me; our birthdays were one day apart. The gifts of his passing for me were 1) to connect (through the ethers) to all those others who had connected to this noble soul through his music, and 2) to observe how, as I note in my Mary Oliver “tribute” poem, news I need to know seems to find me, and I must trust that. What’s more, I can greet whatever in life finds me, whether I seek it or not, as purposeful and timely, even if its meaning might seem as obscure as Mark Hollis. If you are not familiar and wish to experience his music, it’s all over the internet. From the solid synth pop of the Talk Talk and It’s My Life albums, to the rich deepening of Color of Spring, to the remarkable, groundbreaking Spirit of Eden and the almost abstruse Laughing Stock and Mark Hollis albums. It is hard to isolate songs to recommend. I will say that my father was even captivated by the song “I Believe in You,” from Spirit of Eden. Pure pathos…and pulchritude. It is to be experienced, not described. I had been noticing that loneliness, a perennial theme in human life, has been coming up a lot lately, in my personal vocabulary as well as in the confessions of others. Apparently I am not the only one observing this. The same day I heard two friends profess to their own states of loneliness, I received word that Laura Parker was presenting a thoughtful on-line interview series called “Transforming Loneliness.” And I heard it from one of the interviewees, Jeannie Zandi, who reported that she herself had been considering engaging in more public discussion of “Loneliness as Holy Longing,” the title of her interview. The fact that this theme is focussing in our individual minds and hearts indicates to me that it is rising forth for consideration and transformation in the collective consciousness. And this phenomenon is itself demonstration that none of us is as alone as we think. That echoes the title of one of today’s interviews in Parker’s series. And it is a realization that most spiritual work leads each of us to, again and again. It is the balm for loneliness itself. The interviews I’ve heard so far are well worth a listen. In distinct vocabularies, all seem to reflect that loneliness is a mutable perception, and it stems from a forgetfulness of our origins, perpetuated by the myriad ways that we are conditioned to believe and operate as if we are separate: from each other, from all life, even from our own basic wholeness. This morning, I listened to a selection from a podcast called Interesting People Reading Poetry. It featured Krista Tippet (Of On Being) reading a favorite Rilke poem. It’s one of my (many) faves, too. As I listened, I observed myself experiencing the now-familiar sensation of simultaneously feeling less lonely and more lonely: On one hand, a joining in the deep and redemptive Knowing with two other thoughtful minds (Krista and Rilke, standing in for a world of consciousness); and on the other hand, the twinge of loneliness of perceiving myself isolated from such company in my mundane or physical existence, of forgetting what I do know, which is so poignantly articulated in Rilke’s few lines, and also on occasion, in my own poetic writing. One way I reach across that apparent chasm of separation is meditation or prayer. Another is to be in nature. A third is to write a blog. It is in sharing, in reaching across the gap that we erase it; and if we are lucky, we realize (again) it isn’t really there. I know I’m wired a little differently, but I gather that I’m not the only one for whom a good Flu produces hypersensitivity. As an immune battle cycles through its symptom phases, there is that prolonged passage in which every cell seems to sing in a symphonic ache, which swells the senses beyond their standard boundaries. And sight, hearing, touch, taste, smell, and yes, even the sixth sense of psychic acuity, are as if flayed open, their skins stretched finer than a film on water. Even the teeth ache, their enamel stretched too thin. As what they call a “Highly Sensitive Person,” my normal state hovers closer to that experience, and a Flu trip can be quite an entertainingly phantasmagoric ride. Regardless of one’s perceptual sensitivity, though, these dramatic episodes of immune mobilization are a workout for multiple systems of the body. I find they often have a unifying effect. As the conflagration subsides, it’s as if everything is washed clean, more finely tuned, reconnected. As I rise and meet the morning after fever breaks, everything is vivid, freshly fond and wondrous. And I am freshly innocent. It’s as if the nervous system has molted its old skin. Today was just such a morning, as I stepped out onto the porch into the fresh and drizzle-dampened air; air I drew cool and deep into my still feverish lungs, welcoming consciousness back into my body, and feeling the experience as both fingers and glove. I stood there for a gentle and meditative QiGong practice, savoring all the inner sensations, but appreciating the outer scene, super crisp and clear, even in the diffusing effect of the falling mist. At a certain point in this practice, I bent down and performed a maneuver facing my knees for maybe thirty seconds. When I unfurled my spine again and came upright, it was snowing. During my moments upside down, contemplating the tartan legs of my PJs, the rain had turned to snow. In my heightened state, there was something so magical about this. And everything tuned and cleansed from the preceding hours of synchronized throbbing now suffused with an osmotic joy. I was enchanted by the sublime choreography of the 10,000 snow drops– fluffy, white paratroopers– descending past the color and taste of the caramel adobe wall behind. …Rhapsodic entertainment, all because of a simple virus, a miraculous immune response, and because I’d finally gotten enough rest to let it in. I could not help but contrast this with an experience I had only days before with another magical presence descending from the sky. I saw Mary Poppins Returns. I suspect that this, too, might have purported to be an experience of charm, merriment and innocence. Alas, our world has become so relentlessly over-stimulating, running at a pace beyond sustainable for many, that even Mary Poppins was powerless to rein in her runaway train. When I emerged from the movie, the only words I could muster were: Bludgeoned by Joy. There were some great songs and performances; Emily Blount was, of course, superb; and the songs were very clever. But it was too much: too loud, too fast. The pace just breathless. No room to digest the content. When showered with such a barrage of even the most appealing eye and ear candy and mirth, the nervous system cannot help but defend itself, thus getting precious little of enduring value from the experience. The result was that I scarcely remembered the film as we walked out! Pity; there was plenty there I might have gladly savored, if I’d been able. All that work, time and resources to create the charming image of Mary Poppins landing her poised pumps upon the cobblestones, and what will ultimately linger with a deeper impression upon my tender heart and memory is the landing of snow flakes against mud, snowflakes that would melt before I finish this sentence….Simply because there was space for the experience. When I was young, my parents took me to California from our land-locked home, and they made sure to take me to Disneyland, because every child wants that, right? And we spent a good long day there, about which I remember almost nothing. After that we found dinner somewhere near the ocean, and, afterward, we strolled out on a pier and I became enthralled with the experience of watching and feeding the gulls hovering all around me on the thick sea breeze. That I remember. My parents realized, and observed aloud, that they needn’t have endured Disneyland; I’d have been entertained all day just doing this. It’s as true for me now as it was then. It is January 5, 2019, the 54th anniversary of my birth. It is a New Moon, and also a solar eclipse. The year is four days new and counting. Two days hence will be the 8th anniversary of my father’s passing. These are like coordinates to help us locate the day on a map, but what do they really tell us about the day, about this unique and timeless moment? To know that, we must put down the map and references, and we must put down the clutter of thoughts in our head about past and future, and just open, notice. If your surrounds are familiar, it may seem like any other moment. And in its timeless origins, it is. But to experience it, we must first allow and include every subtle quality that makes this day, this moment, its own: the light of this day’s angle of the sun, as it filters through the echoes of yesterday’s business, the subtle smells of today’s breakfast, and the nutrients of yesterday’s lunch beating your heart. By year’s end, we can hardly remember all the moments that made up the preceding year. We might recall a few pivotal moments, a few impressive experiences, probably because those were the ones that stopped time long enough to place a bookmark or significantly swivel our trajectory. We partake of top ten lists about the favorite or most significant pop culture creations or events. 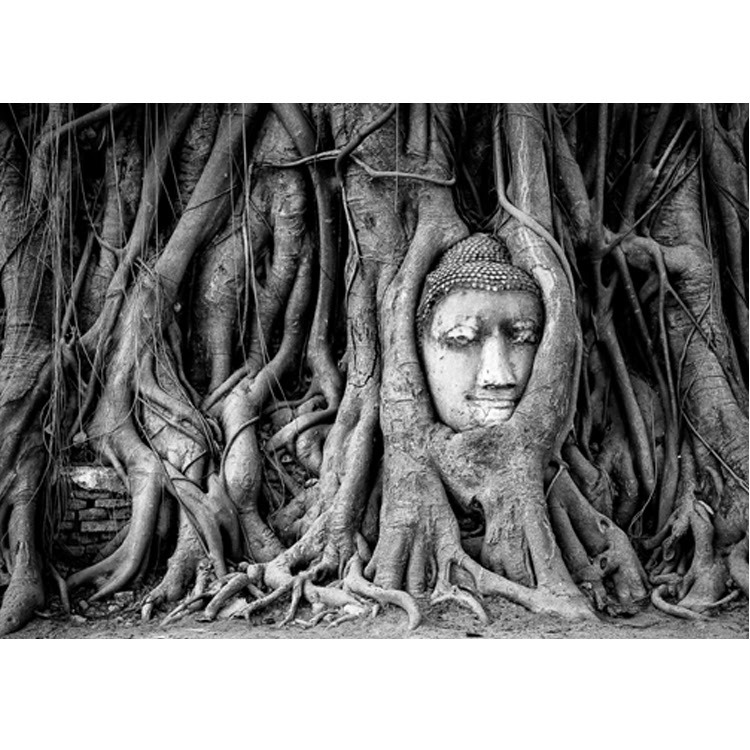 But how often do we just get still and ask our inner selves to recall the moments that quietly linger distinct in our consciousness without ceremony or apparent import? Impressions that stay with us, like the fabric of a seat cushion after the rest of the room as faded? These moments cling to the contours of our deeper selves, reassure us of our essence, of our innocence, which hovers diaphanous in a deeper, quieter place. My birthday tradition is to travel to an upscale hot spring that gives a free day pass on one’s birthday. I soak all day, gratefully, and remember who I am as the torsions of this constitution loosen their grip on bones and soul. Today, however, I have the flu. So I soak only in my own juices today. I let go of the day’s plan more easily than I might have expected. Nothing to do now but rest–sleep, drink, pee, repeat–and float in the heightened sensations, occasionally composing a little rhyme upon the rhythm of the body’s throbbing. It is curiously comforting to drop into the simple witness and observe the miraculous immune system run through its paces. In the center of all the sensation looms the one I Am, when all doing falls away. Sitting up in bed a while, after 14 hours horizontal, I have a little time on my hands, but I have in my gauzy mind no complete and polished Top 10 retrospective for 2018 to set forth. Mine is an amalgam of a trillion subtle and powerful moments, like atoms in the ring of a tree or a layer of sediment, the most memorable of which all probably share one feature: they brought me home to my Self. Radio: Generally the On Being podcast; specifically the rebroadcast of Krista’s interview with Poet/philosopher David Whyte. I know there were so many more. But I’m onto this new year now. I am revisiting The Presence Process (Michael Brown), and it is a profound and affirming homecoming. When I originally reviewed it for a magazine (about 14 years ago), I called it one of the most important books of the century so far; an impressively lucid gift. A strong statement, maybe, and I understand it is not for everyone; but for me it carries the song of my home star and emboldens my own true song. I leave space now for all those moments in the sediment of my experience for which I give thanks but can no longer give name. And I leave space for you and your thanks with them. riding the drunk and reveling wind in from last year somewhere. and me back to bed. These could be yesterday’s clouds. lures my heart from behind the clouds. I haven’t posted in a while. I’ve been tired. Homelessness–even my own buffered brand of quasi-homelessness– is more wearing in winter. However, I know my vexations are shot through with Grace. To bastardize Tom Petty, You don’t have to Think like a Refugee. I subscribe to Uplift TV. I recently enjoyed, and recommended to many, the short animated film Alike, which can be streamed from Uplift. This evening I watched Salam Neighbor, which they made available for Human Rights Day, and I recommend it highly. It is heartening hour or so with people in a grim situation, who inspire with their beauty and resilience. that if I were driving a different body, I would be. But watching this film was another reminder that we all contribute and we all have value. We all do what we can where we find ourselves. Alhamdulilllah! If we’re lucky, I’ve included a viable link: click here . If not, you can find it on YouTube Movies for $3.99, or find Uplift TV on line and subscribe. It’s free.